1. Where do I report a stray dog or cat? 2. Who do I call for barking dog concerns? 3. What are the leash laws for the City of Chino Hills? Except for your own private property, dogs must be kept on a leash at all times. 4. Is it unusual to see a coyote roaming around the neighborhood? 5. What should I do if I see a coyote who is not afraid of people? Never approach a wild animal. Residents should immediately contact the IVHS at (909) 623-9777 if they encounter a wild animal that behaves aggressively, appears sick, or exhibits unusual behavior such as running in circles or twitching. After hours or weekend sightings of unusual wild animal behavior should be reported to Chino Hills Police Dispatch by calling (909) 465-6638. It is not necessary to report a coyote or wildlife sighting if the animal does not exhibit aggressive or unusual behavior. 6. What precautions do I need to take in regards to living next to open space? 1. Why are the decals restricted to only Carbon Canyon residents? The decals are restricted to Carbon Canyon residents only because the intent of the program is to allow residents who live in the canyon, and have no alternate route home, access to their homes. Many Chino Hills residents use the canyon to commute into Orange County and will be impacted by closures. However, they do have alternate routes to get home. 2. Why do I have to renew my decal annually? The decals are most effective when restricted to Carbon Canyon residents only. By requiring an annual renewal, the City is best able to ensure that only Carbon Canyon residents have valid decals. If a decal is lost or stolen, their usefulness is limited because of the annual expiration. 3. Will the decal allow me access during all closures? No. The decal is designed to identify Carbon Canyon residents and allow them access as a select group during a limited closure. Public safety officials will determine if it is safe and appropriate to grant access. 4. What happens if my decal is lost or stolen? If your decal is lost or stolen you must report it to the Neighborhood Services Division immediately at (909) 364-2714. The missing decal will be invalidated and a substitute decal will be issued to you. 1. What is the Community Development Block Grant? CDBG stands for Community Development Block Grant. CDBG is a federally funded program that Congress budgets every year. The City receives its share of CDBG funds from the Housing and Urban Development Department (HUD) to address a wide range of community development needs, ranging from neighborhood improvements, public services, economic development to affordable housing – just to name a few. In the City, CDBG funds are managed by the Community Services Department and are distributed according to community needs as determined by the annual Consolidated Planning process. The Mayor, City Council and community members have an opportunity to provide input and then funds are allocated to various City departments and nonprofit organizations to implement needed activities. You might see these funds being used in the City through services provided by House of Ruth, YMCA, the Chino Hills Branch Library, or through various community improvements. 2. Can I get CDBG funds? CDBG funds are not available to individuals or awarded directly to people. Rather than individual distribution, the city distributes CDBG funds to programs such as the Adult Literacy Program offered by the Chino Hills Branch Library or affordable childcare services offered by the YMCA. Some of these programs are managed by City Departments and others are operated by nonprofit or other public organizations. In those cases, the City will solicit applications for CDBG funding each year from local nonprofits for projects that meet HUD/CDBG objectives and filling gaps in local service and meeting local priority needs. Although you cannot individually receive these specific funds, you could and should be involved in the decision making process. Everyone is encouraged to attend our Community Outreach Meetings. 3. What is required to receive CDBG funding? Programs or projects must meet a national objective of the program and also must be an eligible activity. Programs or projects must be consistent with the needs identified in the City’s five-year Consolidated Plan. CDBG community development projects must be located within designated eligible neighborhoods, target areas, or demonstrate a benefit to low-moderate income persons. In most cases, such projects must be undertaken by either the City, or a non-profit organization. Funding requests are made through a formal application process that is competitive. Funds are awarded by the City Council through a public hearing process. 1. Where can I obtain a marriage license, birth certificate or death certificate? 2. How do I obtain City records? 3. Do I need an appointment to process my Passport application? Appointments are strongly encouraged and on certain days and times, required. Walk-ins will be accommodated as scheduling allows, but walk-in service is not guaranteed. 4. How do I contact the City Council? 5. Are City Council meetings open to the public? 6. When does the City Council meet? 1. Can I add an additional drive approach? If there is enough frontage, two drives may be installed, City standard requires 10’ minimum between approaches and a minimum of 5’ from curb return. Verify there are no access restrictions on the final map. 2. Can I widen my driveway for RV access? City standards allow for a maximum width of 26’ from top of depression to top depression. 3. What are typical hours for construction? ·	No construction on Sundays or holidays. 4. What forms of payment are accepted in the Community Development Department? Check, cash, or credit card are the forms of payment accepted in the Community Development Department. Registration forms are available at most post offices, libraries, city and county offices, Department of Motor Vehicles, etc., or A new on-line voter registration request form is available at the Secretary of State's web site. 2. What are the names of our City Council members? 3. Where are the polling locations? You may check your assigned polling location by going to www.sbcrov.com and clicking on the “Polling Place/sample ballot” link. 4. Who are my area elected officials? Click on the link below for more information on our area elected officials. 5. When are City Council Elections held? During the month of November in even-numbered years. 6. Are there campaign spending limits in Chino Hills? No, there are no campaign spending limits in Chino Hills. 7. What are the requirements for running for a seat on the City Council? You must be a resident of Chino Hills in the District you are running for and a registered voter at the time nomination papers are issued. 8. How will by-district elections work? Voters will only vote for the City Council position up for election in their specific district. Three of the five current Council Members represent the City by-district and two will continue to represent the City at-large until their term ends. At the end of their terms, the council members can run for re-election in the district that they currently live in. 9. How do I find out what district I live in? Residents can look up their district by accessing the interactive District Map on-line at www.chinohills.org/FindYourDistrict. If you do not have access to a computer, contact the City Clerk’s Office (909) 364-2624 or in person at the Chino Hills Government Center, 14000 City Center Drive, Chino Hills, City Clerk’s Office, Second Floor. 10. Will I have a new polling location? 11. What is the difference between by-district elections and previous at-large elections? Previously, Council Members were elected by all registered voters in the City. On November 6, 2018, voters in Districts 1, 2, and 4 selected one Council representative who must live in that district. Council Members in Districts 3 and 5 will continue to serve at-large until the November 2020 election. 12. Why the change to district-based elections? The City of Chino Hills received a letter in August of 2016 from the Mexican American Legal Defense and Educational Fund (MALDEF) which stated that MALDEF had received complaints from Latino voters in the City that the use of an "at-large" election system for City Council elections resulted in Latino vote dilution and that Latino voters were prevented from electing candidates of their choice. MALDEF asserted that the City is in violation of the California Voting Rights Act of 2001 and demanded that the City convert to a district-based election system. 13. Who created the district boundaries? Draft District Maps were developed following three opportunities for the public to comment on how they would like to see the community divided into Districts for District-based City Council Elections. On July 11, 2017, the City Council adopted Ordinance No. 312 changing the City's Electoral System from at-large to district-based elections, established the District Boundaries, and scheduling the elections within the district. 1. Does the City have an Emergency Operations Plan (EOP)? The City's EOP is updated every three years, and a copy is located at the James S. Thalman Chino Hills Branch Library for viewing. 2. Will the City take care of its residents in the event of a disaster? City resources will most likely be overwhelmed following a disaster. Residents are encouraged to stock auxiliary supplies, prepare a family plan, and be prepared to be on their own at least 72 hours following a disaster. 3. Where can I obtain emergency preparedness information? 4. What can I do to prepare for an earthquake? Identify potential hazards in your home and begin to fix them. Identify your building's potential weaknesses and begin to fix them. Create a disaster plan and disaster supply kits. For more information, visit www.earthquakecountry.info/roots. 5. If residents are asked to evacuate, where do we go? In the event of an evacuation order, the City will activate an Evacuation Center/Emergency shelter where residents can receive information and emergency services. City facilities and public schools have been pre-identified as potential sites and will be activated according to the size and location of the emergency evacuation. You can receive timely emergency information by: signing up to receive an email or text message from the City if there is an emergency in the city; checking the City's website at chinohills.org; or by calling the Chino Hills Emergency Hotline at (909) 364-2828. Register now for e-notify at www.chinohills.org/NotifyMe for your emergency alert notification. 1. How do I apply for a job with the City of Chino Hills? To review current opportunities with the City, please look at our	Job Opportunities. 1. Do I need to have a permit to have a garage/yard sale? Yes. Garage/Yard sale permits are available on the second floor at the Code Enforcement counter at City Hall, 14000 City Center Drive. Permits are available during normal business hours of Monday through Thursday from 7:30 am to 5:00 pm and on Fridays from 7:30 am to 4:00 pm. 2. How much does a garage/yard sale permit cost? 3. Can I put up a sign to advertise my garage/yard sale? Yes. You may put a sign on your property the day of the sale. The sign may be posted 24 hours prior to the sale, and must be removed immediately following the sale. The sign may be double-faced, not to exceed six (6) square feet in area and the maximum height shall be five (5) feet. Such sign shall have a maximum height of four (4) feet when placed within the front yard or side street yard setback. 4. How often can I have a garage/yard sale? Residents are limited to three (3)garage/yard sales per twelve (12) month period and each sale shall be limited to three (3) consecutive days or two (2) consecutive weekends of two (2) days each. There shall be no consecutive sale and each sale shall be at least sixity (60) days after the last day of the preceding sale. Such sales may be conducted only between the hours of 8:00 am and 6:00 pm. 1. What can I do if my property is vandalized with graffiti? It is the responsibility of every property owner to remove or paint over graffiti on his or her property within five (5) days. If the graffiti is not removed, the City can abate the graffiti and recover the costs from the property owner. However, a resident can sign a Release of Liability (waiver) with the City, and with the resident's permission and a signed waiver, the City will water blast or paint over the graffiti for free. If it is painted, please be aware that the color may not match. 2. How do I report graffiti on public property? Via the online Graffiti Removal Request Form; call the graffiti hotline at (909) 364-2820; report the graffiti in person, or send a request via email to publicworks@chinohills.org. 3. What should I do if I see someone in the act of creating graffiti? Call the Sheriff's Department Dispatch Center at (909) 465-6837. Do not attempt to communicate with the vandals. 1. What is the Home Improvement Grant Program (HIGP)? This is a city-wide Home Improvement Grant Program that provides grant funds to eligible homeowners to assist in revitalizing their properties. The HIGP receives funding from the US Department of Housing and Urban Development (HUD). 2. Is there an income limit? Applicants must complete and submit a Qualifying Application with copies of all required documentation. Upon receipt of application and income verification, and subsequent approval, a city inspector will assess your home for needed repairs. 4. What kinds of repairs are eligible? The following are examples of potential eligible projects: plumbing repairs, electrical repairs, heating and ventilation, painting and stucco repairs, window and door replacement, roof repairs/replacement, handicap accessibility renovations (wheelchair ramps, etc. ), driveway repairs, stair repairs, other miscellaneous non-luxury repairs. 5. What is the maximum grant amount? There is a maximum grant award of $5,000.00 per property. In exceptional cases where there is an immediate danger to health and safety, additional monies may be awarded. 6. Can my handyman make the repairs? It is required that all repairs must be performed by a contractor who is licensed and is in good standing with the California State Contractors Board. Contractors must also have current and valid Worker’s Compensation and Liability Insurance. Additionally, the contractor must have a current City of Chino Hills business license. 7. Do you have a list of approved contractors? We do not keep a list of approved contractors, nor can we provide referrals. 8. How are contractors paid? A joint check will be issued to the contractor and the homeowner. All work will be paid to the selected contractor by the City within 60 days of completion of the project. 1. Which areas are the City’s responsibility to maintain? The Parks and Landscaping Section is responsible for maintaining over 700 acres of landscaping throughout the City which includes parks, parkways, medians and slopes. 2. Who do I contact to report an area that needs maintenance? 1. If I am a member of the media, whom do I contact for information? Please call the Community Relations Division, Public Information Officer at (909) 364-2615 or the Community Relations Manager at (909) 364-2618. 1. Who provides water, sewer, and trash collection services for residents in the City of Chino Hills? 2. What utility company provides electricity? Southern California Edison is one of the largest electric utilities in the United States and serves the residents and businesses in the City of Chino Hills. Southern California Edison's local office is at 1351 Francis Street, Ontario, CA, 91761 or call (800) 655-4555. 3. How can I tell when my street will be swept? 4. Are residents required to obtain alarm permits for their home alarm systems? No. However, after the third false alarm, the resident will be charged a nominal fee. 5. Are there any childcare centers in Chino Hills? 6. Does the City have a transportation system? Yes. The City contracts with Omnitrans to provide bus services to our residents. Call (800) 966-6428 for current routes and fares, or visit www.omnitrans.org. Bus route books are available in the main lobby at Chino Hills City Hall, 14000 City Center Drive. 7. What is the name of the local Cable TV company? Time Warner Cable and Verizon services most areas of Chino Hills and offers various packages. Visit this website under "For Residents", "Utilities", then see the information provided for both Time Warner and Verizon. 8. Who provides gas utilities? 1. How do I drain my swimming pool? The first choice for draining swimming pool water should be to drain pool water into the sanitary sewer. In-ground pools typically have a sanitary sewer drainage inlet near the pool equipment. Pools and spas not plumbed with a sanitary sewer drainage inlet can be drained to a sanitary sewer line plumbed to the home. Consult a licensed plumber or pool professional if you are unsure how to go about draining your pool. If certain criteria are met, pools can be drained into the street gutter or storm drain. The water needs to be dechlorinated. Use a home pool test kit to confirm that chlorine residual levels do not exceed 0.1 ppm and that the pH level is between 6.5 and 8.5. Pool drainage water can be used to irrigate hearty plants, to saturate dry ground, or to soak down rocked or mulched areas. Be sure to regulate the rate of discharge so that it does not cause problems such as erosion, flooding, or overburden the downstream drainage facility. For further information contact the City’s Environmental Program Coordinator at (909) 364-2835. 2. What is storm water pollution? Storm water pollution occurs when pollutants, such as automobile fluids, pet wastes, and sediments, enter the storm drain system. Rain water picks up pollutants as it flows across paved surfaces and carries them into the storm water conveyance system and out to local waterways. 3. Are sewers and storm drains the same thing? Sewers and storm drains are not the same thing. Sewers collect wastewater from indoor plumbing, such as toilets, sinks, washing machines, and floor drains. A municipal sewer system includes the collection, treatment, and disposal of sewage water. A municipal storm water system only transports water for flood control purposes; no treatment of storm water occurs before it is discharged to local bodies. 4. How do I report a storm water pollution concern? Concerns regarding possible pollutants being discharged to a street gutter, storm drain, or storm channel should be directed to the Environmental Program Coordinator in the Engineering Division of Public Works at (909) 364-2770. Additionally, the County of San Bernardino maintains a 24-hour toll free water pollution reporting hotline at (800) CLEANUP. To report serious spill emergencies, call 911. 5. If yard clippings and leaves are natural, why are they considered pollutants? As yard clippings and leaves decompose, they deplete water of dissolved oxygen that aquatic species, including fish and turtles, need to survive. Excessive plant material also encourages algae growth. 1. Who should I contact if I have a parking problem on my street? If your street is a public/city street, contact the Chino Hills Police and Sheriff's Department. If you live on a private street you will need to contact your homeowner's association, or your property management company. 2. What can be done when a mailbox is blocked? There are no regulations prohibiting parking in front of a mailbox, but please be advised that mail carriers are not required to leave their truck to deliver mail. If the mailbox is blocked you may be directed to pick-up your mail at the post office. The blocking of the mailbox is a civil matter. 3. Can I park my RV on a City street? Parking of a recreational vehicle/trailer on a city street requires an annual temporary parking permit." With a permit, parking is allowed for a maximum of three (3) consecutive days, up to twelve (12) days total per calendar month. Permits are valid for one calendar year and expire December 31st of every calendar year. Permits can be obtained from the Community Services Department during normal business hours at no cost. City parking regulations take precedence over the annual temporary parking permits. Therefore, a recreational vehicle/trailer may not be parked on a City street during the hours and on days that parking is prohibited on that street for street sweeping, or during the hours that parking is otherwise restricted by ordinance or statute. To the extent possible, the recreational vehicle must be parked adjacent to the address the permit was issued to. 4. Who do I call if I have questions about, or want to appeal a parking citation received during street sweeping? 1. When do I need to process a Design Review? 2. Any addition/remodel that increases the existing square footage of legally existing structures on-site by 50% or more. 2. When do I need to process a Variance? 3. Does the City allow second dwelling units or granny flats on single-family lots? Second Dwelling Units (an attached or detached separate dwelling unit intended for occupancy by an individual or a family in addition to an existing primary single family dwelling unit) are allowed within the City based on meeting the requirements as listed in Section 16.10.020.d of the City's Development Code. 4. What is a Subdivision? A Subdivision is the division of an existing parcel of land into four or less lots (parcel map) or into five or more lots (tract map). 5. Are modular/prefabricated homes allowed in Chino Hills? Yes, modular/prefabricated homes are allowed in Chino Hills. However, they must comply with Chapter 16.08 and Chapter 16.10 of the Development Code, and are subject to the Custom Home Design Review process. 6. Are temporary signs allowed for my business? Temporary signs are only permitted for grand openings and special events. 7. Do walls/fences require a building permit? Freestanding walls and/or fences six (6) feet or less in height which are located within the required side and rear yard setback area, four (4) feet or less in the required front yard setback area, do not require a building permit. Retaining walls require building permits. 8. Does a second dwelling unit require a Conditional Use Permit? 9. Does the city offer assistance for first time homebuyers? 10. How do I find out the zoning for my property? 1. How can I get an application to be placed on the City's vendor list? 1. What is a Dual Flush Toilet? These two button dual flush (0.8/ 1.6 gallon) toilets are common in other countries and recently approved for sale in the United States, allow people to be even more water efficient. These toilets have two levers – one lever for liquids and the other for solids. The liquid lever uses half the water used in standard low-flush toilets. These new efficient toilets use 20% less water per flush than an Ultra Low Flush Toilet (ULFT) saving an average of 2,250 gallons of water a year. 2. What is an Ultra Low Flush toilet (ULFT)? Ultra-Low-Flush toilets use only 1.6 gallons per flush or less - savings of more than 60 percent every time it is flushed. Typical pre-1983 toilets use about 5-7 gallons of water per flush (gpf). 3. What is a High Efficiency Toilet (HET)? 4. What is a High Efficiency Urinal (HEU)? High efficiency urinals use less than half the amount of water per flush (gpf) compared to less efficient urinals. 5. What Is a Zero Water/Waterless Urinal? The idea is simple. Zero water/waterless urinals do not require water to flush. They are designed to receive and move liquid waste (urine) through a lighter than water sealant that floats on top on the urine, allowing the urine to move into the sewer system without the use of water. 6. What Is a Cooling Tower? A cooling tower is a large hollow structure open at each end used to cool water heated during industrial processes. Water is cooled circulating it through a series of louvers and baffles through which cool air as it falls through the open air. A natural or mechanical draft moves the extracted heat from the water upwards and pulls cooler air into the tower at its base. 7. What is a Pressure Assist Toilet? Pressure-assist toilets use compressed air to create a more forceful flush action. These toilets take advantage of the pressure of the home's water supply to get the job done, with the help of a pressure tank. Water from the supply line is forced into the air-filled pressure tank at the house pressure of 60 psi or so. The air in the tank is compressed and when the flush lever is pushed, the water rushes into the bowl. One benefit of a pressure-assist flush is that the water is contained inside the pressure tank, which is inside the china toilet tank. 1. How can I register for a Recreation class? 2. How do I register online for classes? 3. How can I rent a Park Gazebo? 4. How can I sign my child up for a sports league? 5. Does the City of Chino Hills have facilities available to rent for special occasions? Yes. The City of Chino Hills Community Services Department has five (5) facilities available for rent. 6. Where is the Community Services Offices located? *Does not accept facility rentals for Chino Hills Community Center and McCoy Equestrian and Recreation Center. *Does not process registration or rentals at this location. 7. If I do not currently have an account, can I go online and have a Household Email and Password emailed to me? Yes, you can go to www.chinohills.org/RecOnline and create an account if you have not created one with Community Services staff before. Your account will be set up as a Non-Resident status until you come into one of the Community Services offices to verify your Resident status. You may do this by bringing in a valid Drivers License or recent Chino Hills Utility Bill. 8. How do I get a Household Email and Password? A Household Email and Password is assigned to your account once you have registered for recreational activities. You may set up an account online if one has not been previously set up. If you have forgotten you email and password that is on file, contact the Community Services Department at (909) 364-2700 and a new password will be sent to you via email. 9. What type of payment is accepted online? otherwise your transaction will be cancelled. Other forms of payment are accepted at Chino Hills Recreation offices. 10. Are all classes available for online registration? No. Classes and activities such as Tiny Tots, and Summer Day Camp that require a deposit are NOT available for online registration. However, all of our activities can be viewed online. 11. Can I book a facility or gazebo online? 12. How can I search for a class? 13. I am not sure if I want to create an account, but I would like to browse the activities. How do I do this? 14. What does “Your session will time out in 5 minutes” notice mean when registering online for recreational activities? The system allows you 10 minutes of inactivity before it logs you out. This is for security reasons. If you are not completed with your session click the OK button to remain logged in. Otherwise your session will expire and you will need to log back into the system. 15. How do I print an old recreation receipt? First you must log into the system with your Household ID and Password. Then go to the “My Account” button on the left toolbar. Click on the “Reprint Receipt” and choose what receipts you would like to print. 16. How do I update my profile if I have recently moved? First you must log into the system with your Household ID and Password. Then go to the “My Account” button on the left toolbar. Click on the “Change Household Data” button and update the information as needed. Make sure to press the “Submit” button for the update to occur. 17. How do I add a family member to my household? First you must log into the system with your Household ID and Password. Then go to the “My Account” button on the left toolbar. Click on the “Change Family Member Data” button and click on “Add More Members.” Once you have updated the members be sure to select “Done” for the update to occur. 18. How do I check if I have a balance due on my account? First you must log into the system with your Household ID and Password. Then go to the “My Account” button on the left toolbar. Click on the “View My History” button. The “Household Balance” is detailed on the right side of the screen next to each activity. 19. How can I print a calendar of the activities I have registered for? 20. Once I have registered for a recreation activity, does the system store my credit card information for future use? No. For your security, the City does not keep record of your credit card and you will be prompted to submit the information each time you register. Recycled water starts out as wastewater. After arriving at our wastewater treatment plants, the water is then purified so it is suitable for landscape irrigation and other non-drinking purposes. Wastewater is processed through biological treatment, filtration, and a disinfection system before it becomes recycled water for landscape irrigation. A dedicated system of pipelines is constructed for recycled water, which is completely separate from drinking water pipelines. These pipes are colored purple to distinguish them from drinking water pipes. 2. Is Recycled Water safe? 3. Why is the City of Chino Hills planning for Recycled Water? Water supplies in California are being stretched to the limit of our available supply because of population increases, environmental restrictions and periodic droughts. To ensure an adequate supply of water for a growing community, recycled water adds a new source of irrigation water that is locally produced and is drought-proof. 4. Where is recycled water used in Chino Hills? 1. Can I park my RV on a City street? Parking of a recreational vehicle on a city street requires an annual temporary parking permit. With a permit, parking is allowed for a maximum of three (3) consecutive days, up to twelve (12) days total per calendar month. Permits are valid for one (1) calendar year. Permits can be obtained from the Community Services Department during normal business hours at no cost. City parking regulations take precedence over the annual temporary parking permit. Therefore, a recreational vehicle/trailer may not be parked on a city street during the hours and days that parking is prohibited on that street for street sweeping, or during the hours that parking is otherwise restricted by ordinance or statute. To the extent possible, the recreational vehicle must be parked adjacent to the address the permit was issued to. 2. What is considered a "recreational vehicle"? Per Chino Hills Municipal Code 10.12.020 the following vehicles are considered recreational vehicles. Camp trailer, fifth-wheel travel trailer, house car, trailer coach, mobilehome, boat and/or boat trailer, and trailers used for the transport of equipment, vehicles or animals, which are used for the purpose of recreation, and recreational vehicle, per California Health and Safety Code section 18010. 1. Does the City of Chino Hills have a Senior Center? Currently, the city does not have a senior center, however we do offer Active Adult 50+ programming at the Chino Hills Community Center Monday through Friday 8:00 am to 2:00 pm. Visit www.chinohills.org/ActiveAdults to download the monthly calendar of programs and events. Many seniors also utilize the Chino Senior Center located at 13170 Central Avenue, Chino. Their telephone number is (909) 464-8342. 2. Does the City have "Meals On Wheels"? Caring for the Hills, a non-profit organization, provides delivery of meals for seniors. Meals are available Monday through Saturday, they are not available on Sundays or holidays. There is a donation cost of $2.50. 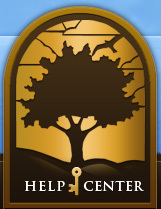 For more information, contact Caring for the Hills (909) 597-1454. 3. Does the City have a Senior Resource Directory available? 4. Does the City have any Senior programming? Yes. The Chino Hills Community Services Department has added new programs, socials, and events for adults ages 50 and older. Check out chinohills.org/ActiveAdults or the recreation guide online for a listing of classes and events. Pre-registration is required for all events including free programming. Contact the Recreation office at (909) 364-2700 for more information. 1. How do I know when my street will be swept? 2. Do I need a permit to work in the public right-of-way? Yes, and this includes sidewalk and drive approach work. For more information and to make sure it is a public street, please call the Engineering Department at (909) 364-2770. 1. What is a Mello-Roos Community Facilities District Act? The Act allows any county, city, special district, school district or joint powers of authority to establish a "Community Facilities District" which allows for the financing of public services and facilities. The services and facilities Mello-Roos Districts can provide include streets, policy protection, fire protection, ambulatory, elementary schools, parks, libraries, museums, and cultural facilities. 1. Who can I contact for TRTP project information? You can contact Southern California Edison. Call Lydia Roman, Public Affairs Director for SCE at (909) 930-8501. Also report TRTP construction related emergencies to SCE (800) 611-1911. 2. Do you know that you can look up the location of your address in relation to the TRTP project route? 1. Why do some streets require a parking permit? Because of parking problems that have arisen around some of the schools. The permit allows a resident to park their vehicle adjacent to their home during the hours of 7:00 am to 4:00 pm on weekdays. 2. How much do the permits cost? The permits are free of charge and must be renewed annually (Proof of residency and vehicle registration is required). 3. Where can I get a temporary parking permit? 4. Will I be able to park my vehicle on the street on street sweeping day? No. The parking permit does not exempt the vehicles from other parking restrictions or ordinances. 1. Does Metrolink/MTA give discounts? No. These discount passes are only available to Los Angeles County residents because L.A. voters approved Proposition A in 1980. Proposition A is a half-cent sales tax which is returned to L.A.County cities and used to subsidize the cost of transportation in L.A. County for residents. 1. Where can I rent a temporary service bin? The City of Chino Hills contracts with Republic Services for waste disposal. All collection containers and temporary service bins must be obtained from Republic Services. Contact Republic Services at (866) 238-2444. 2. How do I find out my Trash Pick-up Day? 3. Will Republic Services pick-up my holiday tree at the curb? Yes, Republic Services will pick up your tree at the curb. Residents can recycle their holiday tree by cutting it up and placing it inside their "yard waste" container and/or by placing it on the ground next to their containers. Holiday trees larger than six-feet tall must be cut-in-half in order to be eligible for pickup. A special "tree crew" will automatically collect holiday trees that have been placed curbside during the two weeks following Christmas Day; no appointment is necessary. Flocked Trees - Unfortunately, flocked trees cannot be recycled. To dispose of a flocked tree, please cut-it-up and place it inside your "trash" container or contact Republic Services at (866) 238-2444 to schedule a free bulky item collection. 4. If it is a holiday will my trash still be picked up? Your collection will be delayed by one day if your collection day falls on or after the following holidays: New Year's Day, Memorial Day, Independence Day, Labor Day, Thanksgiving Day, and Christmas Day. 5. Is a Trash Disposal Sorting Guide available? Yes, to avoid common sorting mistakes a sorting guide is provided on this website. Your support of “Chino Hills Recycles” is a big step towards solving our waste problems now and into the future. The Chino Hills Recycles automated waste collection and recycling program helps control the volume of waste dumped into our landfills. 1. Pay online using your checking/savings account (EFT) or your debit/credit card. Hills Library near the Police Department. cashier’s check and debit/credit card (Visa, MasterCard and Discover). 5. Pay by phone: You can make a payment over the phone by calling (909)364-2660. Payment methods accepted by phone are Visa, MasterCard and Discover. 3. How do I establish water/trash/sewer utility services? Payment and account information must be received before service is established. All deposits are retained by the City of Chino Hills until the account is closed. Once the account is closed, the deposit amount is then applied as a credit towards the final bill. Any remaining credit will be refunded to the resident in the form of a check, regardless of the payment type initially used to pay the deposit fee. All new services or cancellations take one business day to process. Please keep in mind, the City is closed weekends and holidays. The City of Chino Hills accepts cash, checks, Visa, MasterCard and Discover payments (via phone Visa, MasterCard and Discover only). 4. Who do I call for trash customer service or bulky item pick-up? Trash services are provided by Republic Services and can be reached at (866) 238-2444. 5. When will my Trash be picked up? 6. Can I request my water bill for a specific date or cycle? No. The City reads the water meters according to a route reading schedule. This schedule fixes the time the meters are read, and when the utility bill is prepared and due. 7. How can I better understand my utility bill? Water: There is a water service charge for being connected to the City water lines, regardless of whether water is used throughout the billing cycle or not. When water is used, consumption is billed per CCF (hundred cubic foot), in addition to the connection charge. Trash:	Service charges vary depending on the amount of cans on the property. The charge is billed monthly whether or not the resident places cans for pick-up during the billing cycle. This is in accordance to the Chino Hills Municipal Code 13.20.050. Sewer:	A flat-rate service charge will be added to each account that is connected to the City sewer lines. Charges are based on the elevation of the home, depending on gravity flow, or pumped flow. 8. When is my utility bill due? Payment is due for your utility bill for water, sewer and trash services 21 days from the billing date shown on your regular bill. If payment is not made by this date, the bill becomes delinquent and an Urgent Delinquent Notice is mailed. 9. Can my account be transferred if I move within the City of Chino Hills? No. A deposit is required for each location. Any deposit on your current account will be credited toward the final bill for that address. A new deposit and application fee is required to start service at your new address. 10. Can the water meter be re-read if there is a question to a reading error? Yes. You can have the meter re-read to check for reading errors, meter malfunctions, or possible water leaks. Please call Utility Billing Customer Service at (909) 364-2660 to request a re-read. 11. How do I close my account for water/trash/sewer utility services? Call the Chino Hills Utility Billing Office at (909) 364-2660. NOTE: Only the person(s) named on the account have authorization to close service, and it takes at least one business day to disconnect. 12. Does the City pick up hazardous waste? 13. Why am I required to sign up for trash if I don't want to? "In order to protect the public health, safety, and well-being, and to prevent the spread of vectors, the owner, occupant, or other person responsible for the day-to-day operations of every property in the City shall make arrangements with a contractor franchised or licensed by the City for the collection of solid waste, recyclables, or compostables as set forth in this chapter." 14. How do I obtain a construction meter? Please contact Utility Billing Customer Service at (909) 364-2660 to initiate an account. An Application needs to be filled out. There is an $1,000 refundable fee and a $50 non-refundable application fee, for a total of $1,050. You will need to have an active Business License in the City of Chino Hills and also provide a site map. Once you receive a receipt for payment you will need to go to the City Yard located at 15091 La Palma Avenue in the City of Chino to pick up your meter, no earlier than one business day from the time of payment. 1. How can I apply to be a volunteer? 2. What age do you have to be to volunteer? You must be at least sixteen (16) years old to volunteer. 3. What type of volunteer opportunities are available through the City? Volunteers are a great resource for the City and are used in various capacities. Depending upon a volunteer's interest and skills, they can be placed in one of the City's departments to augment City staff or can become a member of a City program or committee. 4. What is the time commitment for being a volunteer? The time commitment for a volunteer is very flexible and depends on the amount of time the volunteer has to contribute. 5. Can students fulfill school required community service through the City? Yes. Students in Junior High or High School who are not sixteen (16) years of age can contact the Community Services Department at (909)364-2713. They can fulfill a class assignment by assisting with light clerical duties, (stuffing envelopes etc.) or assisting with Pee Wee Sports. 1. If I have a leak, who is responsible for repairing it? It depends on the location of the leak. If the leak on a waterline is located on any line after the water meter, it is the customer’s responsibility to have it repaired. If the leak is located at, or prior to, the water meter, it is the City's responsibility to repair it. 2. Why does the Chino Hills Water Division let water run down the street? When old pipes are replaced or new ones are installed, the pipes must be disinfected with chlorine before they are connected into the City’s system. After a day or two, water is flushed through the pipes to rinse out the chlorine before the pipes are put into use. In addition, the City regularly runs water through the system to flush lines where stagnant water can collect. This is done to assure high quality to our valued customers. 3. Who do I call if I have a water emergency in the middle of the night? The City has personnel on-call 24- hours a day, seven (7) days a week, to assist customers with water and sewer emergencies. For any water or sewer related emergency, call the City office at (909) 364-2800 during normal business hours and at (909) 364-2860 after 4:45 p.m. and on weekends. 4. I need to make repairs to my plumbing or irrigation. How do I shut-off my water? The City recommends that all customers use their house (gate) valve to shut off the water supply to their home to make repairs. If you cannot locate your house (gate) valve or it is necessary to shut the water off at the water meter, call the City office (day or night) for a customer service representative to shut off the water at the meter. You can reach the City office at (909) 364-2800 during normal business hours, and at (909) 364-2860 after 4:45 p.m. and on weekends. Please note that a specialized tool is required to shut the water off at the meter. Attempting to turn the water off at the meter without this tool may result in damage to the mechanism and additional repair charges will be assessed. 5. Am I responsible for the condition of the plumbing system where it is connected to the City's meter? Yes, in fact the City from time to time will make improvements to its system by replacing older water service laterals and meters with new components. During the course of this work, if reconnection to the customer's plumbing is difficult or impossible due to its deteriorated condition, the customer will be responsible for making any necessary upgrades. The City will provide notification when this situation arises. Most of the City's water is imported from outside sources. About 64% comes from the Water Facilities Authority. This is a water treatment plant in Upland. About 17% comes from Monte Vista Water District wells in the Montclair area. Chino Hills wells produce about 12% of the water we use. The remaining 7% comes from the Chino Desalter Authority, which operates wells and a treatment plant in the southern part of Chino. 7. What is water main flushing? Water main flushing is a process in which pipes are cleaned by forcing water through at high speeds. Flushing removes sediment that can cause water to appear dirty or discolored. Water main flushing may also improve the taste of water. 8. Why is water main flushing needed? Water mains (pipes) need to be flushed to remove sediment from corrosion that has built up over years of use. The pipes are cleaned by forcing water through at high speeds. Flushing removes the sediment that can cause water to appear dirty or discolored, and may also improve the water's taste. 9. Will flushing affect my water service? Water service will not be interrupted when pipes are flushed, but there may be less water pressure. The flow of water to your homes and businesses will be redirected so that pipes can be isolated for flushing. During this time, your water may be murky or appear dirty for a few hours. This is a temporary condition and not a health risk. 10. What do I do after flushing has been done? When flushing work is done in your area, please run your taps for a couple of minutes until the water is clear. Even though we try to avoid wasting water, it is necessary to run your taps for a very short time to restore water quality. The flushing program should improve the quality and reliability of water we provide to your homes and businesses. Water main flushing will not correct private plumbing or corrosion problems. For general questions about main flushing or to report dirty water conditions that have not cleared up within 24 hours after the flushing activity, please call the Water Quality Technician during normal business hours at (909) 364-2800. 2. What is an Aquifer? An aquifer is an underground layer of rock and sand that contains water. Water moves through the layers of rock and sand much like a river moves on the surface. 3. What is the Hydrologic or Water Cycle? Water is always moving. Surface water, warmed by the sun, evaporates into the atmosphere. Water vapor is carried by the wind all over the globe. Eventually the water vapor cools and condenses into clouds, fog, dew or various forms of precipitation. Once on the ground the water can evaporate directly or travel as runoff into the ocean, rivers, lakes or a ground water system, eventually to evaporate again. This dynamic pathway of water is called the Water Cycle. 4. What is an acre-foot of water? An acre-foot (A/F) is enough water to cover an acre of land one-foot deep. That’s 325,851 gallons or 43,560 cubic feet of water. 5. Cooling Tower pH Conductivity Controller? 6. What is a Pre-Rinse Kitchen Sprayer? A Pre-Rinse Kitchen Sprayer is a pull down sprayer used in commercial kitchens to rinse dishes. 7. What is a Connectionless Food Steamer? Restaurants often use a food steamer / steamers to maintain or warm food. New water-efficient, connectionless (pressureless) food steamers, have no water line or sewer discharge. Intended for small- to medium-size restaurants. 8. What is a High Efficiency Clothes Washer (HECW)? A High Efficiency Clothes Washer (HECW) meets certain water and energy efficient standards. They use a design where the tub axis is more nearly horizontal than vertical. Clothes are tumbled through water that only fills a fraction of the tub. Also known as horizontal axis, tumble action or front-loading clothes washers, they have a water factor of 9.5 gallons of water per cycle or less. HECW minimize drying time by removing more water from the clothes in the spin cycle than in traditional machines. 9. What is a rotating nozzle? The multi-trajectory, rotating streams of the rotating nozzle applies water more slowly and uniformly than conventional spray and rotor type irrigation heads by using arc and radius adjustment. Rotating nozzle technology reduces misting and run-off. 10. What is a Smart Irrigation Controller? Smart Irrigation Controllers or Weather Based Irrigation Controllers (WBIC) provide the appropriate watering schedule, adjust for weather changes and irrigate based on the needs of the landscape. These irrigation controllers use historical weather information or information collected from local weather stations to adjust watering schedules. 11. What is a Waterbroom? A Waterbroom replaces a hose nozzle combining air and water pressure to clean and remove dirt, food spills, and lawn cuttings from concrete, asphalt or any other surface. Compost is one of nature’s best mulches and soil amendments, and you can use it instead of commercial fertilizer. Using compost improves soil structure, texture and aeration and increases the soil’s water-holding capacity. Compost loosens clay soil and helps sandy soil retain water. Adding compost improves soil fertility and stimulates healthy root development in plants. 13. What is Evapotranspiration (ET)? Evapotranspiration or (ET) is the rate at which a plant loses water through evaporation and transpiration. 14. What is the Water Calculator? The water calculator is designed to give you a schedule for the maximum amount of water which your plants may need each week of the year. 15. What is the Water Factor? The Water Factor is the number of gallons per cycle per cubic foot that the clothes washer uses. The lower the water factor, the more efficient the washer. 16. What is the Watering Index? The Watering Index is a guide to help people adjust watering schedules for landscape irrigation controllers, based on Evapotranspiration. The passing of water through living plant membranes into the atmosphere. 1. How much water is used in the City of Chino Hills daily? City of Chino Hills customers use an average of 14.5 million gallons of water daily. The average American uses nearly 50 gallons per day. 2. What are the major components of the water distribution system? The City of Chino Hills water production section currently has nine active wells. The City currently has 17 water reservoirs ranging in size from 5 million gallons to .25 million gallons. Current storage capacity for the City is about 35 million gallons of potable water and 3 million gallons of recycled water. The City also operates eight booster stations to increase water pressure to the higher elevations. 3. Does the City utilize recycled water? Yes. Nearly 950 acre-feet of recycled water is currently being used for watering golf courses and green belts. 4. What makes ice cloudy? 5. Is my water safe to drink? A definitive answer for countries as large as the United States is impossible, but for the most part, yes. Nearly all water suppliers in the United States meet all US Environmental Protection Agency’s standards for safe drinking water. However some small water systems have more troubles meeting these standards. 6. Is my drinking water completely free of microbes? No, but don’t be alarmed; most microbes are harmless. For example, if you licked your finger you would get microbes in your mouth, but you would not get sick. Drinking water contains harmless microbes. It should however be, and probably is free from germs. 7. Are all chemicals in my drinking water bad for me? 8. Why does my water have nitrates, and where do nitrates come from? Nitrates are chemicals made of oxygen, and nitrogen, ammonia and other elements. When chemicals containing nitrogen, mix with water, nitrates are usually formed. The primary sources of nitrate pollution are human waste and manure, especially from dairy farms. 9. How much lead and copper does my water have? 10. Is fluoride in my drinking water safe? Yes. When added or naturally present in the correct amount, fluoride in water has greatly improved the dental health of American consumers. 11. Is water with chlorine safe to drink? Yes. Many tests have shown the amount of chlorine found in treated drinking water is safe to drink, although some people object to its taste. Almost all household water filters can reduce or remove chorine in drinking water. 12. How much chlorine do I have in my water? The City is required by the state and federal government to add disinfection to our drinking water supply to kill or prevent bacteria growth. We use small levels of chlorine as a disinfectant. The levels range between .20 parts per million, and 1.10 parts per million. 13. Should I buy bottled water? Remember that US bottled water is less regulated than municipal drinking water. You do not need to buy water for health reasons. Chino Hills water meets and exceeds all drinking water standards. 14. How can I find out what is in my water? Every year the City of Chino Hills publishes and mails to all customers an annual Consumer Confidence Report. The free report gives the results of the tests it does in order to make sure your water meets federal and state drinking water regulations. It also explains where your water comes from and includes other useful information. To request a hard copy, please call (909) 364-2808. 15. Who is making sure that my water is safe and healthy to drink? California has very strict regulations for the quality of tap water. There are also laws and additional state and federal agencies that help keep harmful things out of drinking water sources. Your utility must make sure that your water meets these requirements. Southern California utilities have an excellent record for delivering water that is as good or better than required. If for some reason your water did not meet the health and safety regulations, you would be notified immediately. Each of us also has a responsibility to take care of the drinking water on our property. For example, if you use a water filter, make sure you change the filter often so bacteria does not grow inside and spoil the water. Clean out your older plumbing or drains properly so that your water doesn't collect odd smells, tastes or colors. While a funny color, taste or smell usually doesn’t mean your water is unsafe, you still may want to correct the problem. 16. What is done to purify the water before it comes out of the tap? Water that comes from rivers, lakes and streams goes through many steps of treatment and checkpoints before it is ready to drink. The water is screened to remove larger materials, run through very fine filters and then disinfected to kill germs. The water is checked throughout the system to make sure that it meets all regulations. 17. Why does my water sometimes look dirty, cloudy or have a funny color? From the time your drinking water is purified at a treatment plant until it pours from your tap, there are a lot of chances for it to pick up things that can change the way it looks. Sometimes this happens as close as your home’s own plumbing. Water is cloudy when air gets in and makes tiny bubbles. The bubbles are harmless and will disappear if you let the water sit in a glass for a few minutes. Usually when water looks dirty or has a funny color, it’s because of changes in the way that the water delivery system is being operated. When the direction that water flows in the pipe is changed—for maintenance work on a water main, when a fire hydrant is broken in a car accident, or there is a break in a water main— materials at the bottom of the pipes get stirred up. Often, the water only looks dirty for a short time. You should not drink it until it looks clear. One way to speed the dirty water out of your own pipes is to run all of your faucets for a few minutes. If the water is still not clear, then do the same thing again every half hour or so. The problem should go away within two to four hours. If it does not, call the Water Quality Technician at (909) 364-2808. 18. Why does my water sometimes taste or smell funny and is it safe to drink? Many people think that if their water tastes or smells funny, it will make them sick if they drink it. In fact, the things that most commonly cause tap water to taste or smell strange aren’t harmful to drink. When your water tastes or smells funny, the problem might be in the water or it may not. You see, odors may actually be coming from your sink drain where bacteria grow on hair, soap, food and other things that get trapped. Gases in the drain that smell get stirred up when water pours into the pipe. Odor can also come from bacteria growing in water heaters—usually ones that have been turned off for a while or have the thermostat set too low. The list below describes where many odd tastes and smells come from. Chlorine is added to tap water to make sure that any harmful germs in the water are killed. When you can taste or smell a bit of chlorine, your water has been properly treated. There are regulations that limit the amount of chlorine added to tap water so that it keeps the water safe to drink. An easy way to get rid of the chlorine taste and smell is to let water sit in a glass for a few minutes. Then, put the water in a covered container and chill it in the refrigerator. Cold water tastes and smells better than water at room temperature. Algae, which are plants that live in rivers, lakes, reservoirs and other bodies of water get into open-air reservoirs that store large amounts of our drinking water. Sometimes algae are not controlled by the usual treatment and naturally make substances that can give your water an earthy or musty smell, but is not harmful in the small amounts found in water. This happens most often in the warmer months when the sun heats up the water and grows food for the algae. This smell can occur when the source of the water is underground. The smell is from a chemical made by a bacteria and is not harmful in the small amounts found in water. The same smell can also be made by bacteria that grow on hair, soap and food in your drain. * Does the smell come from only some of your faucets? * Does the smell go away after running the water for a few minutes? If the answer is no — the smell comes from all the faucets and it does not go away in a few minutes, then the problem is likely in the water. To be sure, take a clean glass and go to the hose bib at the front of your property. Make sure to disconnect any hoses before running the water. Open it to its fullest, and run it for a few minutes. After that, fill the glass straight from the tap and smell it. If the water is better at the front faucet than at the faucets inside your property, you should flush your plumbing system by running all the faucets for a few minutes. If the odor is really strong and does not go away, contact the Water Quality Technician at (909) 364-2808. 19. Why does my water leave spots on my glasses, coffeepot and showerhead? There are minerals in water that are white and settle when water is heated, cooled, or evaporates. The spots contain nothing harmful. Filling your coffeepot with vinegar and letting it sit overnight usually removes the spots. Make sure to rinse well before using. You can also clean your showerhead by soaking it in a vinegar-filled bowl. There are some store products you can use to avoid spotting when glasses are washed and allowed to air dry. 20. Do I need to purchase a home treatment device to make my tap water safe? Most people do not need to purchase a home treatment device (e.g., a water filter) to make water safe. That’s because your tap water already meets very strict government regulations for quality. If, however, you are considering buying a home treatment device because of health concerns (e.g., you have a severely compromised immune system), make sure that the device is certified by the California Department of Health Services (DHS). DHS certifies more than 350 home treatment devices that claim to reduce toxic chemicals or provide better health protection. All devices that make such claims must be state certified to be legally sold. This includes carbon filters, distillation, reverse-osmosis, ion-exchange and ceramic filters. You can call DHS at (916) 327-1139 for more information about the certification program or log on to the DHS website. If you want to improve the look, taste or smell of your tap water, a home treatment device can be the answer. Performance of these types of devices is certified by the independent National Sanitation Foundation. For more information call (800) 673-8010 or log on to its Website. * Don’t be fooled by a sales demonstration that shows funny looking "stuff" settling to the bottom of a glass of tap water. The "stuff" you see is usually nothing more than the minerals that naturally occur in water. * Home treatment devices have to be properly serviced to work well. If they aren’t maintained according to manufacturer’s instructions, water from the device may be less safe than water straight from the tap. * Water that is treated by a home treatment device is usually much more expensive than water straight from the tap, when you take into account the cost of maintaining the device. * Make sure the device removes the things you are concerned about. Not all home treatment devices remove the same things. If you have a severely weakened immune system, talk to your doctor about the type of home treatment device to use. 21. Should I boil my water? On very rare occasions, the local health department or the City may issue a notice to boil your water. This may happen when there is an earthquake or other emergency. Otherwise, unless you have a severely weakened immune system or your doctor advises you, you do not need to boil your tap water. It already meets strict state and federal regulations for quality. 22. Do I need a water softener? No one needs a water softener to make tap water safer. A softener removes the dissolved minerals that make water hard but are not harmful. The hardness of water is different throughout Southern California and depends on the water source. Before purchasing a water softener, make sure it has a salt efficiency rating of no less than 4,000 grains of hardness removed per pound of salt used in regeneration. Softer water has both good and bad features. Some of the good things include a softer feel to hair and skin, the need to use less dish soap and laundry detergent (because soap lathers more quickly in soft water), and less mineral deposits in pipes and on pots and pans, glasses and cars. However, water softeners add sodium to the water, which may be a concern for people on sodium-restricted diets, and salt discharge can have an adverse impact to our water supplies. 23. Can pregnant women drink tap water? If you are pregnant and have any questions about drinking water straight from the tap, you should speak with your doctor. 24. Can people with HIV/AIDS or weakened immune systems drink tap water? Water utilities must meet over 90 different drinking water requirements for tap water to keep people healthy. People with severely weakened immune systems are not always protected by these standards because they are based on reducing risks for people in good health. For example, for people with weakened immune systems, a microscopic parasite called Cryptosporidium can be a serious concern because it can cause a life-threatening illness. The chance of finding Cryptosporidium in water served by Southern California utilities is quite small. When it is, it is at low levels. People with severely weakened immune systems should talk to their doctor about possible alternatives to tap water. 25. How do I treat water during an emergency? Sometimes you may need to treat your water during an emergency (e.g. an earthquake) when the water’s safety may be in doubt. You can treat your tap water by either boiling it, or disinfecting it with unscented household liquid bleach or commercial disinfection tablets. For the best taste, chill the water before drinking. Option One: Bring water to a rolling boil and then boil rapidly for at least one minute. Allow the water to cool before drinking. This is the preferred method. Option Two: Add unscented household liquid bleach to tap water. Add 8 drops per gallon (16 cups) of water. Stir, cover and let sit for 30 minutes before using. If the water is very dirty, double the number of bleach drops to 16. The disinfected water should have a slight chlorine smell. If it doesn’t, add another dosage of bleach and let sit for 15 minutes more before using. Do not use scented, powdered or swimming pool bleach since these products may contain dangerous chemicals. Option Three: Use commercial disinfection tablets, often found in sporting good stores, and follow package directions. If you are without water for some time, here are some other sources of water in the house: melted ice cubes, your water heater, canned vegetables, water taken from the toilet tank (not the bowl) and then disinfected as described before. 26. Who should I call if I have a problem with my tap water? Contact the City of Chino Hills Water Quality Technician at (909) 364-2806. 1. When will weed abatement occur? This work is performed five (5) days a week, Monday through Friday, beginning in April, and is generally completed by the week of July 4th . Weeds are cut pursuant to Chino Valley Fire Department Code. The work starts in the southern section of the City and the crews work their way north until complete. Homeowners are required to finish cutting weeds on their property by May 15th, however, the City has a later deadline because the City has the entire public open space to weed abate.